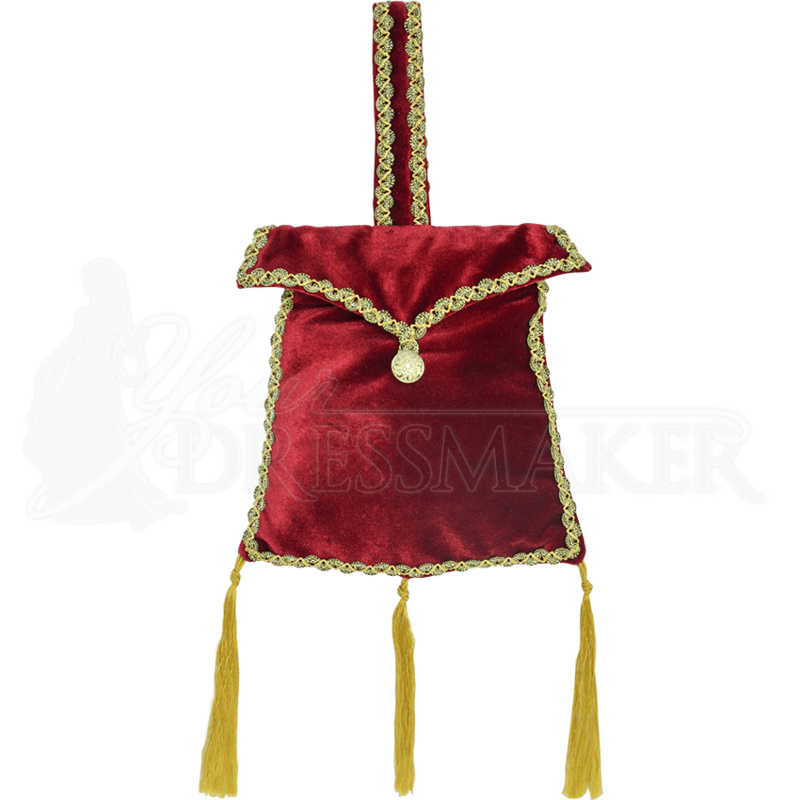 Add a touch of extravagance to your historical or fantasy outfit with the Fancy Renaissance Velvet Belt Pouch. This medieval belt bag is made of royal velvet, trimmed with gold, and ideal for carrying keys, coins, and even a phone. The top flap fastens to the front with a gold button closure. Gold trim decorates each edge of the bag, and three gold tassels hang from the bottom. 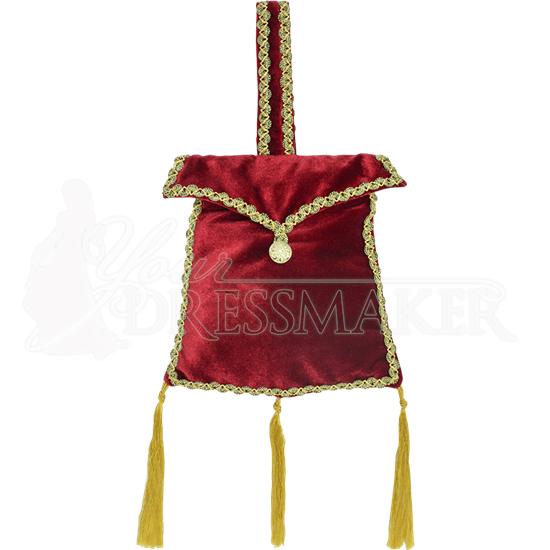 The gold trim belt loop attached to the top of this velvet Renaissance pouch makes it easy to slide onto most belts. This velvet belt bag comes in a variety of colors, although please note that the inner satin lining color will vary. If you wish to carry your small essentials with a bit of luxury, choose the practical and posh Fancy Renaissance Velvet Belt Pouch.